Design and simplification are key concepts discussed and demonstrated in this video. How do you decide what is most important to you about a subject? What tools do you employ to focus the viewer’s attention on that aspect of the subject? What is the necessary information to provide the viewer, what is unessential. 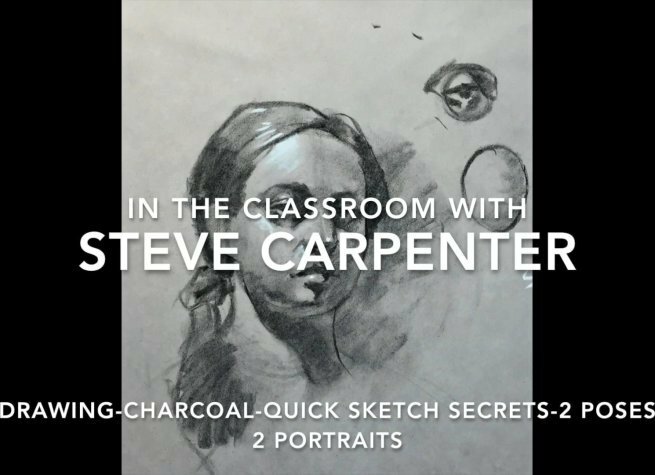 These ideas are explored as they apply to both full figure representation and portraiture in the exercises. Basic drawing tools are discussed: line, edge, value, shape, form, pattern, scale.